Ohhhh man, this soup is soooo good! I won the best wife award for this one. Daniel loved it. 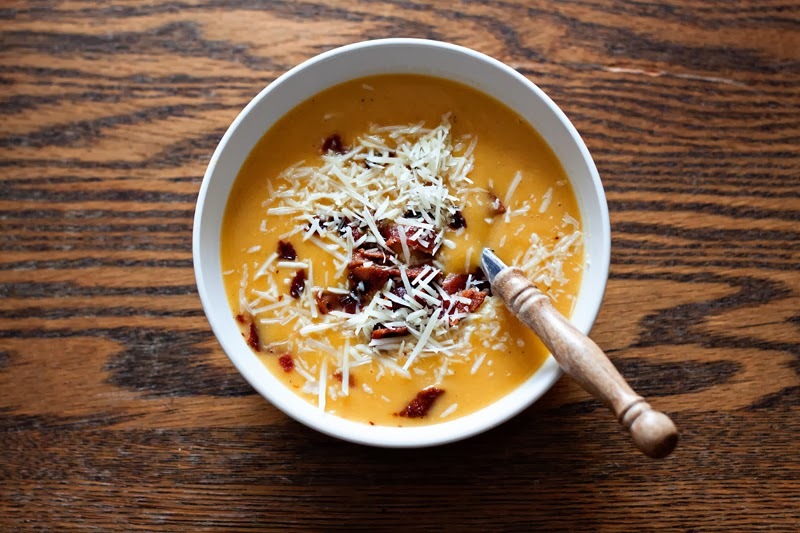 I know this is more of a fall soup, but I just love the fall flavors of pumpkin, cinnamon, and squash. So why not have it in February, or anytime of the year for that matter! I adapted this recipe from allrecipes.com. Melt butter in a large pot, and cook onions, celery, carrots, potatoes, and squash for 5 minutes or until lightly browned. Pour in enough of the chicken stock to cover the vegetables. Bring to a boil. Reduce heat to low, cover pot, and simmer for 40 minutes, or until vegetables are tender. Transfer soup to a blender, blend until smooth. Return to pot, and mix any remaining stock to attain desired consistency. Add heavy cream, cinnamon, nutmeg, garlic powder, salt and pepper. Serve with crumbled bacon and freshly grated parmesan cheese. 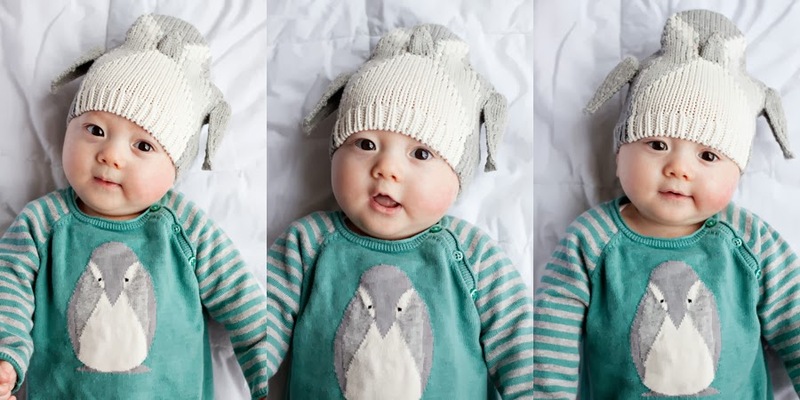 This little penguin of mine is just about the sweetest thing there is. Six months is such a fun age. I'm so lucky to be his mama.